MANSFIELD, Mass. 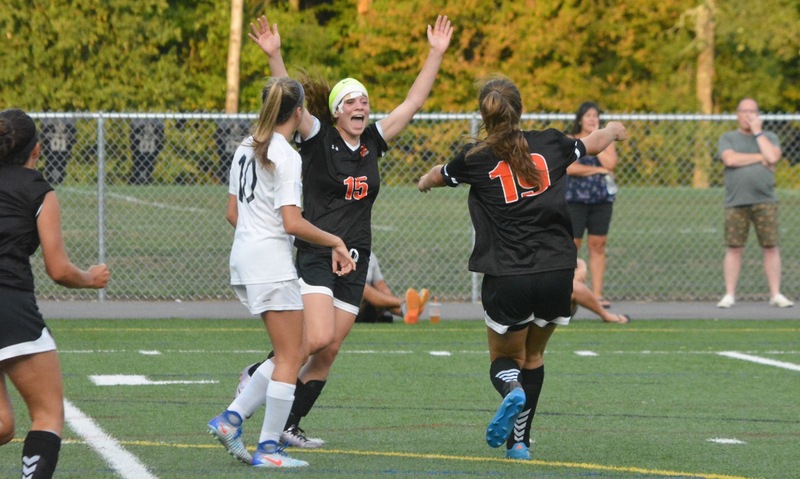 – Both Oliver Ames and Mansfield entered Friday’s division showdown unbeaten on the season – and that’s exactly how they emerged from it. The Tigers and Hornets battled each other – and the wet conditions – for 80 minutes but neither side could break through as the teams settled for a 0-0 draw. 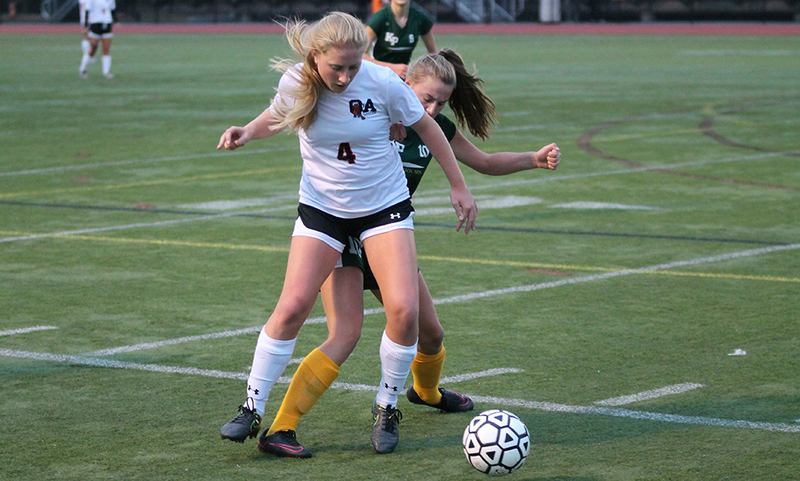 Oliver Ames was without senior captains Francesca Calabraro and Jessica Robarge as well as talented junior Jackie Mills. 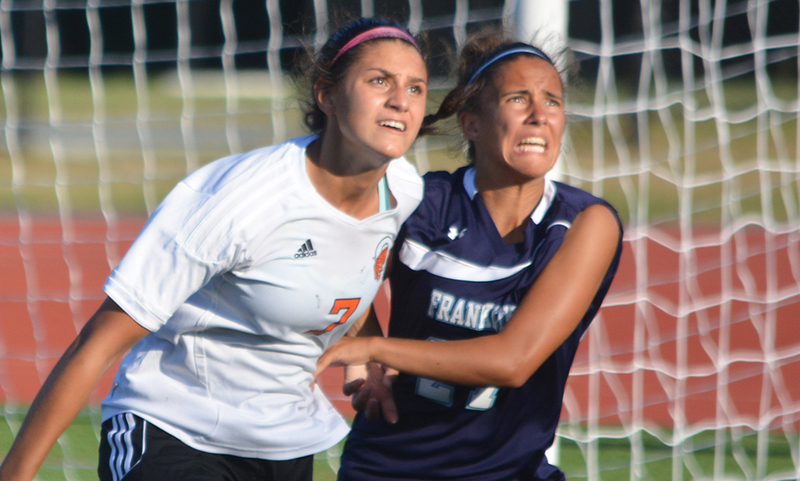 Mansfield pounced early, seizing a lion’s share of possession early on but couldn’t produce a scoring chance. The possession evened out over the next half hour but neither side could find the back of the net. 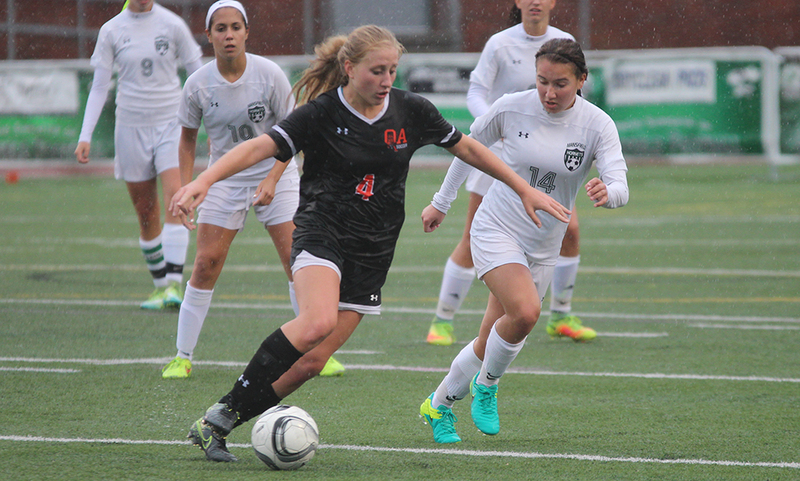 The first real chance fell to OA when Kiana Lozzi played Lauren Wright through on the left wing but her shot was stopped by Mansfield keeper Emily Gaumond and the rebound was cleared. The Tigers took control for the final 10 minutes of the first half, registering a pair of chances inside a minute. First, Julia Roy latched on to a long ball and forced a diving save from Gaumond. A minute later, Tori Wyman hit a cross that forced Gaumond to paw it clear. The home side threatened just minutes after Gaumond’s saves. 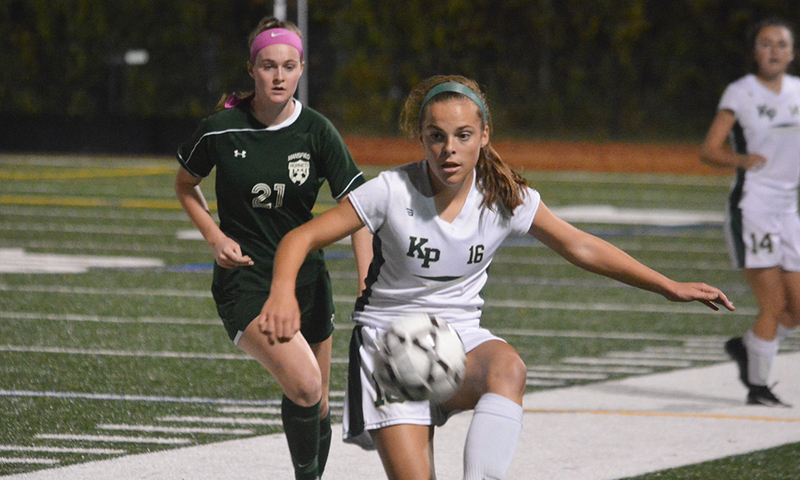 Reiter collected possession in the midfield and used a pass to spring Stephanie Kemp in behind the defense. The sophomore uncorked a tight angle shot but OA keeper Regan Benton got a hand to it and kept it out. 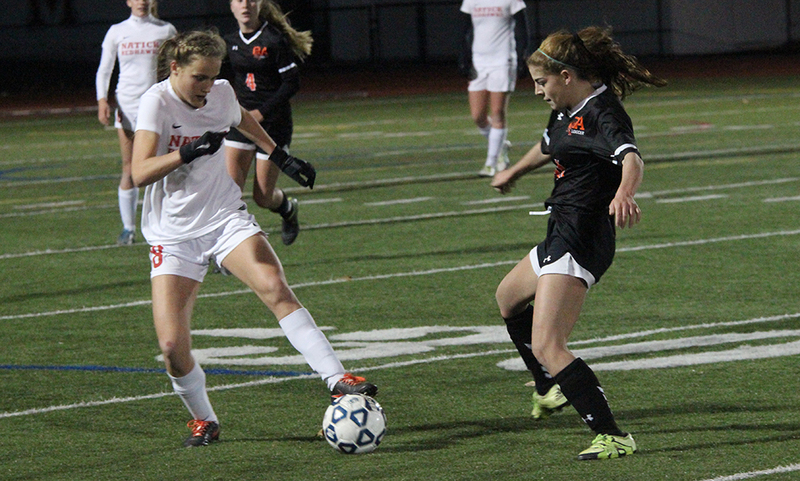 Mansfield tested Oliver Ames early in the second off a free kick. Emily Vigeant‘s service in the 45th minute skidded on the slick turf and was spilled by Benton, but the junior was quick to cover up the loose ball. Twenty minutes later, the Hornets had another free kick in a dangerous spot. 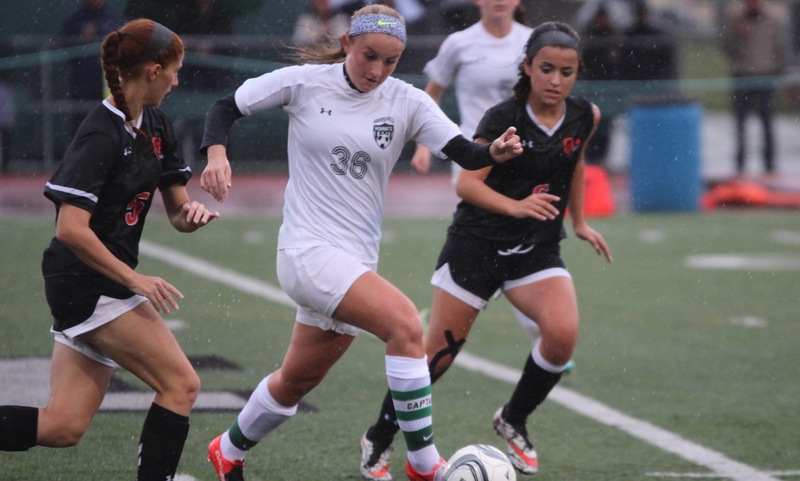 Reiter’s shot from 25 yards out floated just over the bar to keep the game scoreless. Kemp had a good chance in the final minutes of the game, taking a shot from just outside the area but it just slid wide in the 76th minute. Smith was equal in his praise for the visiting Tigers. 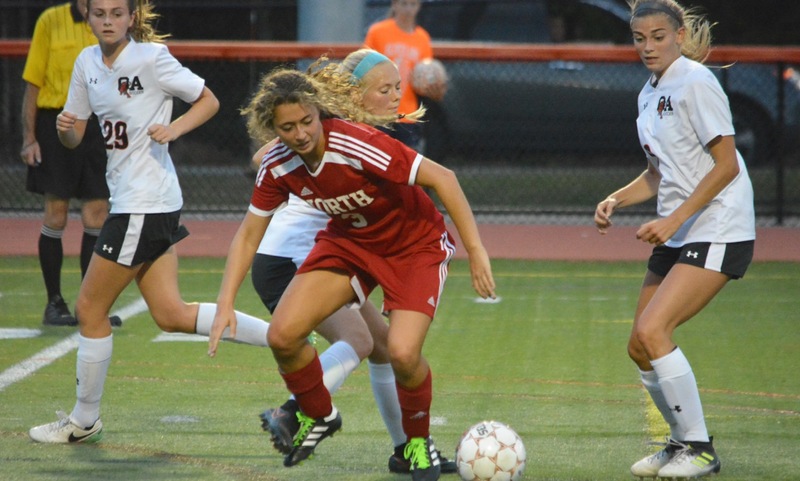 Mansfield girls soccer (9-0-1, 7-0-1) will look to remain unbeaten when they travel to take on North Attleboro on Friday. 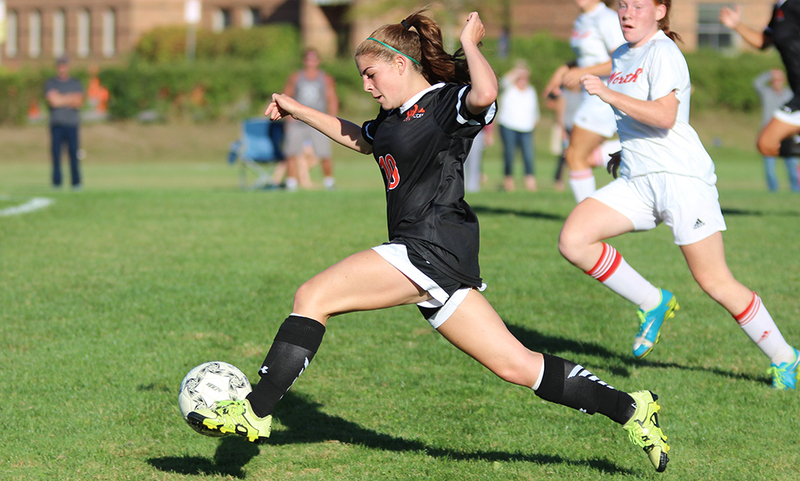 Oliver Ames (8-0-2, 7-0-2) will try to do the same when they host Milford on Wednesday.